Whoo Hoo! Today is the fabulous TGF Release day where you can now get your hands on some great new red rubber!! Also don't forget to sign up for the Super Secret Stamp Club whilst you are over at the TGF Shop!! Here on the Farm, we are super excited about what's to come this month, including today's fun release featuring the two new rubberized Dollie sets with sentiments and the super cute Up, Up Bean! Here is a close up of the image. You can see a bit of the shimmer that I put on the balloons, her bow and her dress - I figure a Bean should be shimmery!! Once you've hopped and commented on their beautiful works of heart, head back over to the TFG Blog and let us know you did! ONE LUCKY WINNER will receive the entire March release and will be announced Monday morning, so you have all weekend to hop! Thanks and have a fantastic and FUN crafty weekend! 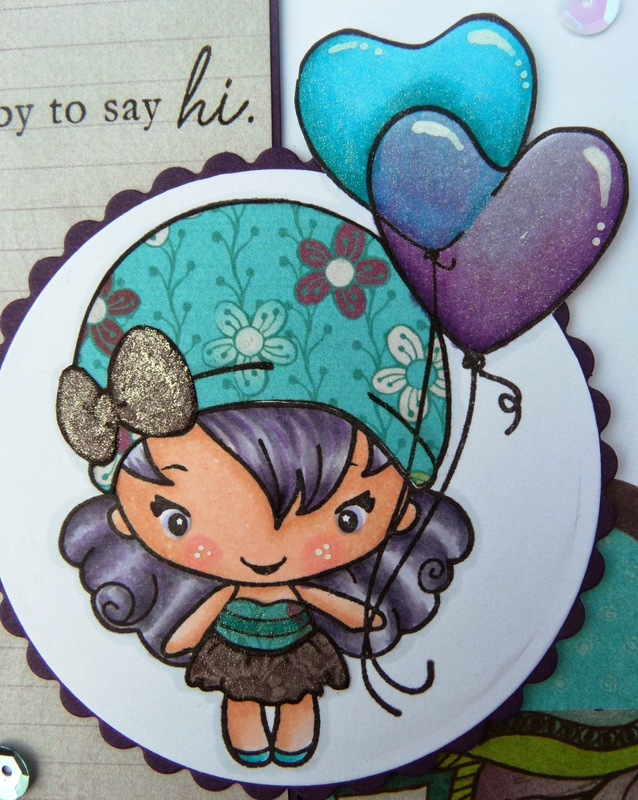 Other - Patterned Paper - Kaisercraft - Utopia Collection, Sequins, Wink of Stella - Clear pen. Love the paper piecing and the pretty papers! Love the color combo. The hat paper makes her so sweet! Love the color combination....so pretty! oooh - fantastic effects on the balloons! Such a cute card. The the coloring! Love how you colored her and the color combo! TFS! Very pretty card!!! This stamp is adorable! Great design! I love the paper piecing and sequins. love all of your projects. thank you for sharing! She's an adorable bean and I love the colors used on the card. Awesome Bean! Love how you colored the balloons realisticly, so you can kind of see the balloon behind the front balloon vs a solid front balloon. Thanks for sharing! Your coloring is AMAZING! i really like how you use the sequins since i have always asked myself how people use that in their projects. Thanks for sharing! Wow this is BEAUTIFUL! ! ♡ her purple hair and your paper piecing too!! Stunning card!! Awesome coloring! Lovin' the color combo choice! Love the paper piecing too. great job!!! This is so super pretty, your coloring is just stunning and I love how you sporadically added all the sequences !! So cute! Love your color palette. Awesome card. Definitely love how you colored the balloons. Love your unusual color combo! OMG!!! I love the translucent effect you did with the balloons!! 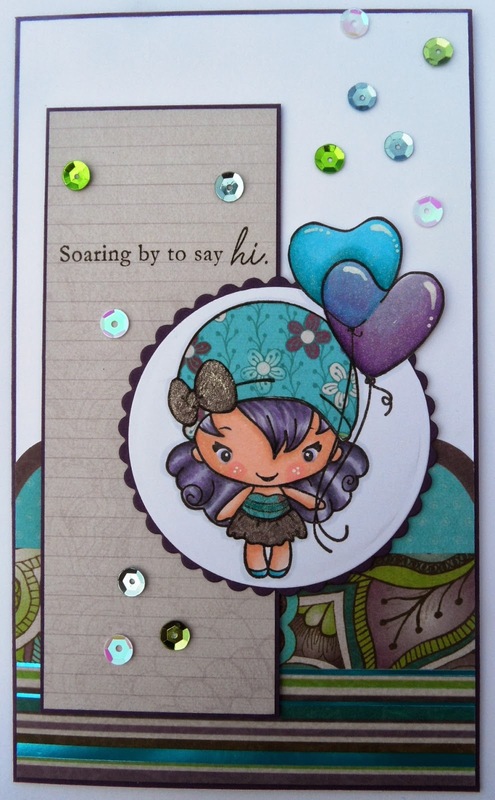 I love the beautiful colors and paper piecing of your card!!! Beautiful LO too! !